Film Taiwan announces that the Taiwan Film Festival is coming to the UK for the very first time. The Festival celebrates Taiwan’s long and tempestuous history and diverse cultural heritage through the uncensored lens of independent Taiwanese filmmakers. The Festival runs from 3 – 14 April, with a programme of films shown at various prestigious locations including the Curzon Soho, DocHouse at Curzon Bloomsbury, the Starr Cinema at Tate Modern and an exciting virtual reality (VR) pop-up cinema at Asia House in central London, in partnership with Art Cinema. Inaugurated in Iceland in March 2019, this will be a trailblazing festival covering a broad range of topical issues that are both particular to Taiwan and also speak to a global audience – including LGBTQ rights, ethnicity, land rights, environment and politics. As the only Mandarin-speaking country in the world who protects freedom of speech, Taiwan has a powerful voice to tell stories others cannot. Furthermore, over 65% of the film directors included are female and together they have directed 50% of the Festival’s programme, there’s the screening of Tsai Ming-Liang’s first feature-length virtual reality film and the UK premiere of a number of films. Several of the Taiwan-based filmmakers will attend the Festival for post-screening Q&As, the opening party and the closing event. “Bringing the Taiwan Film Festival to the UK and Iceland was an obvious fit because of the strong roots of storytelling and independent filmmaking on each of these islands,” says Festival curator Aephie Chen. The Taiwan Film Festival opens with the 1967 classic martial arts western Dragon Inn, an influence for many subsequent films of the same genre, including Tsai Ming-Liang’s Goodbye, Dragon Inn –which is also being shown as part of a retrospective of Tsai’s work, chosen by the director himself. specially-designed VR space at Asia House. Director Tsai will also take part in post-screening Q&A’s, as well as lead a filmmaking masterclass. Huang Hui-chen, Hsin Yin Sung, Ado Kaliting Pacidal, Rina B. Tsou, Lin Han, and Shake. In addition, Chen Singing & Huang Hui-chen will also participate in Q&As after their film screenings. There will also be a screening of Father, a story filmed over a decade about the traditional art of puppetry and the difficulties the puppet master experiences in passing down a dying art though the generations. Director Yang Li-Chou will attend a post-screening Q&A. 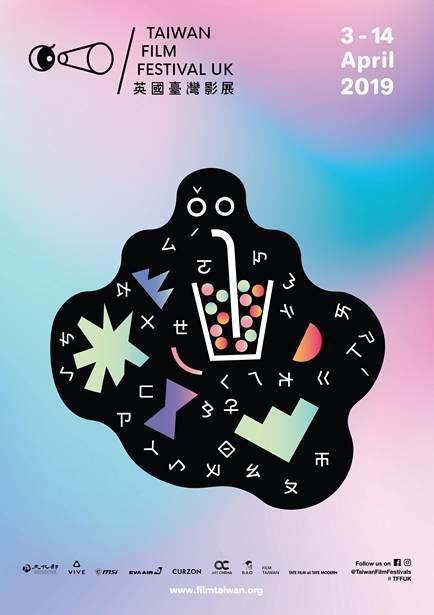 The Taiwan Film Festival is a collaborative effort between FilmTaiwan and the Cultural Division of the Taiwan Representative Office to showcase the talented and distinct cinematic voice of Taiwan through a programme of classic and new independent films. It also aims to provide opportunities for Taiwanese filmmakers and producers to showcase their works to Icelandic and UK distributors with the goal of creating interactions between the countries. Aephie Chen is a Taiwanese-born British filmmaker, based in London, and the founder and artistic director of the first Taiwan Film Festival in the UK and Nordic countries. After studying architecture and fashion, she has been practising her concepts and themes across set design, costume design, radio and visual artworks in Europe, USA, Japan and Taiwan. She completed an MA in filmmaking at the London Film School and now writes and directs. She has lived in many countries in her life and the stories she tells are often drawn from relationships, dreams, struggles, identities and self-exile in contemporary society. Follow Taiwan Film Festival UK 2019 for the full Film programme with links for booking.